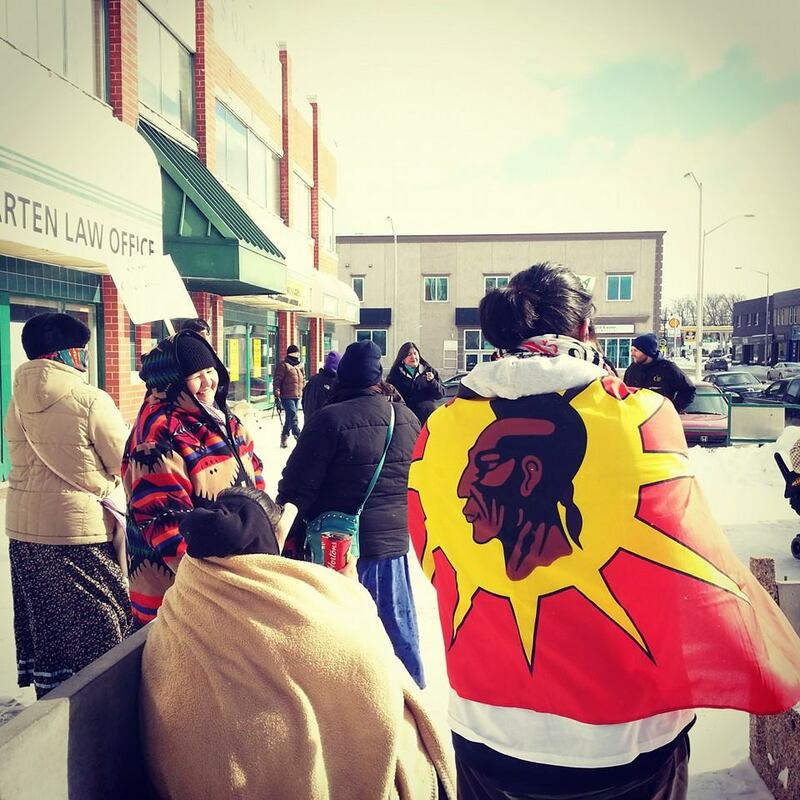 Kenora—Dozens of Anishinabe Women, their families, and supporters converge today on Market Square at noon to deliver a message against the proposed Energy East Pipeline that will deliver tarsands oil right through the City and through all of Treaty 3 (and other First Nations) Territory. Monday’s Family Day demonstration, with a focus on protecting the water for future generations, is intended to be highly visible—with drumming, singing, placards and speeches—and to inform and engage the local public about the immense threats posed by the likelihood of oil spills to local water sources, ecosystems, animal habitat, and human health, as well as broader environmental impacts from proposed tarsands expansion. TransCanada, speaking to the possibility of a major oil spill in the area, has said that it would take a minimum 22 minutes to shut down the Energy East pipeline in case of a leak. Any spill from the pipeline could allow as much as 2.7 million litres of oil to spill in that time. It wouldn’t be the first major industrial spill in the region. “Being from Grassy Narrows, I know firsthand how damage to the water can poison our families and our kids, not just now, but in the future, too,” said Corrisa Swain, a Youth from Grassy Narrows where families continue to watch newborn children exhibit the brutal symptoms of mercury poisoning, a Dryden pulp and paper mill having dumped over 9000 kgs of Mercury into the English and Wabigoon River System over 40 years ago. “We know from our own experience how these kinds of projects can have terrible impacts on future generations and how unlikely it is that government or companies will ever clean up afterwards,” says Swain. The environmental impacts from the Energy East Pipeline also extend far beyond the local effects on the Winnipeg River, Lake of the Woods and local ecosystems. 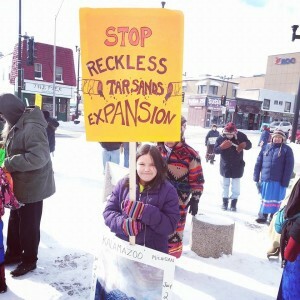 “The project is a climate nightmare, demanding as much as a 40% expansion of tarsands extraction, releasing millions of tonnes more carbon pollution, just when we’ve been told that 75% of tarsands oil needs to stay in the ground to avoid catastrophic climate impacts in the next century,” said Teika Newton, a representative of Kenora Transitions Initiative (TIK), a Kenora-based environmental advocacy group. “There is also the reality that tarsands extraction, like pipeline spills, have terrible impacts on downstream communities across the continent,” Newton says. Trancanada’s new pipeline project has already been opposed across the entirety of its route, from local tarsands impacted communities to the Mohawk community of Kanesatake and Mi’qmak communities on the East Coast. In Treaty 3 Territory, Grand Chief Warren White has already clearly stated that the pipeline will not carry tarsands oil across the territory without express consent from affected First Nations. Local grassroots communities have echoed those sentiments.